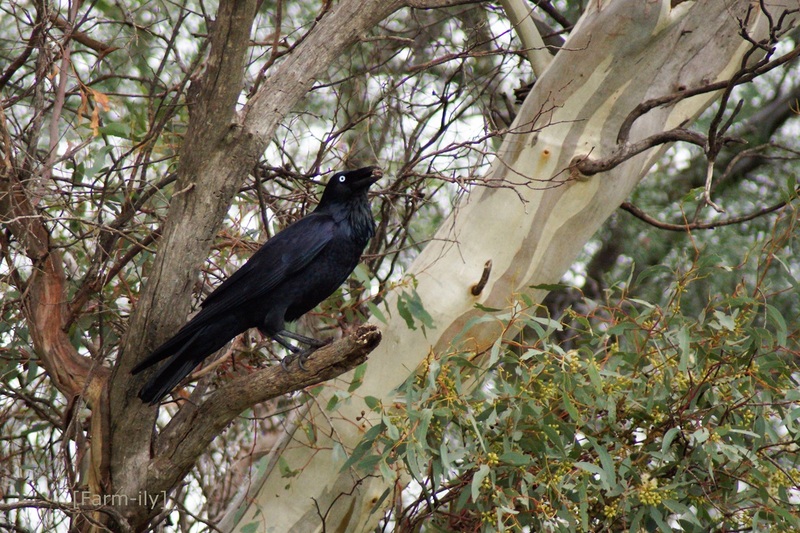 The white eyed adult Australian Raven. What a great shot, nice and sharp. Looks like a painting, very nice! I have a huge weakness for the corvid family. Intelligent and family minded birds. Love this photo. Wonderful clarity! The way its eye stands out is excellent! A very nice specimen at that and good on you for capturing that white eye so well.